Round robin play has almost concluded and a number of our teams have reached the semifinals and finals! If you are looking for something to do this weekend, why not cheer on our kids? After 2 wins and 1 tie in round robin play, NW274 is playing in the semis against the Northstars on Saturday, March 17, 4:00pm at Glengarry. After 1 win and 2 ties, NW276 is in the semis against Confed at 2:15pm, Saturday, March 17 at Callingwood B.
NW273 finished their round robin 1-1-1. Last Sunday they faced off against KC St Matthew in a semifinal match up and won 6-1. 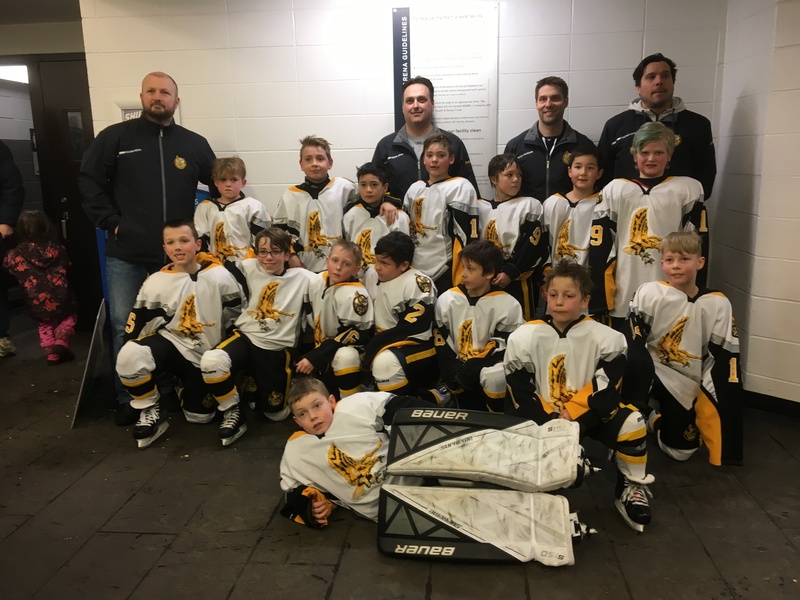 They are playing for GOLD against NEZ at 5:30pm, Sunday March 18 at Millwoods A.
NW283 went 1-1-1 in their round robin, good enough to reach the semis versus KC St Matthew at 2:30pm, Saturday, March 17, at the Meadows West. NW284 completed the round robin with 3 wins and 1 loss. They are playing in the semis versus Whitemud West at 8:15am, Sat, Mar 17, at Millwoods A.
NW285 finished on top of their pool with a 3-0 record. Their semifinal game is against Beaumont at 3:45pm on Saturday, at Callingwood A.
NW286 is also heading to semis after going 3-1 in the round robin. They face off against Millwoods at 8:30am on Saturday, Kinsmen B. Only one peewee team made it through round robin play - NW289, finishing on top of their pool with a perfect 4-0 record! They play their semifinal tomorrow at 8:45am vs KC St Matts at Akinsdale.